Have you ever head of CyanogenMod which is the world's largest third-party compiler team for Android. The released Android 2.1 kernel CM5 Series ROM is widely used to promote third-party upgrade from Android 1.6 to Android 2.1 version.This team became the first to customize a stable 1.6 ROM which goes prior to Google for many Android phones. 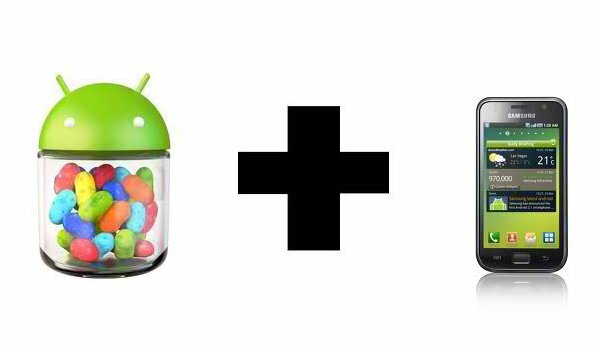 As we know Google released Android 4.2 Jelly bean on Oct.30 this year, the new features like Gesture Typing,Smart Screen-Savers, Multi-user support ,you can visit Android official site or just click here to read for the detailed Android 4.2 new features. 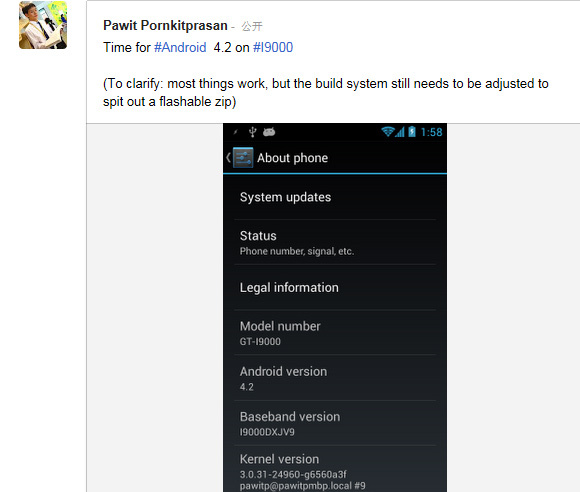 So are you touched by the Android new features.And the good news is that @pawitp of CyanogenMod was working on the brush pack of Samsung Galaxy S I9000. And now the brush pack for Android 4.2 were released to download. As Pawitp said this brush pack is developed based on the source code for Android 4.2 Jelly Bean from AOSP (Android Open-Source Project).Most functions of the phone can work, including but not limited to RIL(Radio Interface Layer) ，Datanetwork，WiFi，camera，sound，GPS，TV-Out，and Android 4.2“December”bug is also fix. If you can’t wait the phone manufacturer to release the OTA update notice, you can follow the following steps to upgrade by yourself. 2 Put the package into the SD card, Use the ClockworkMod Recovery brush into the bag. 4 Selective brush into the the superuser privileges patch (SuperSU). Completed. 1 adb shell does not work in recovery . 3 It can not load the external SD card when connected to the computer. So I suggested the experienced users update your I9000 in this way, or you may be regret what you have done.